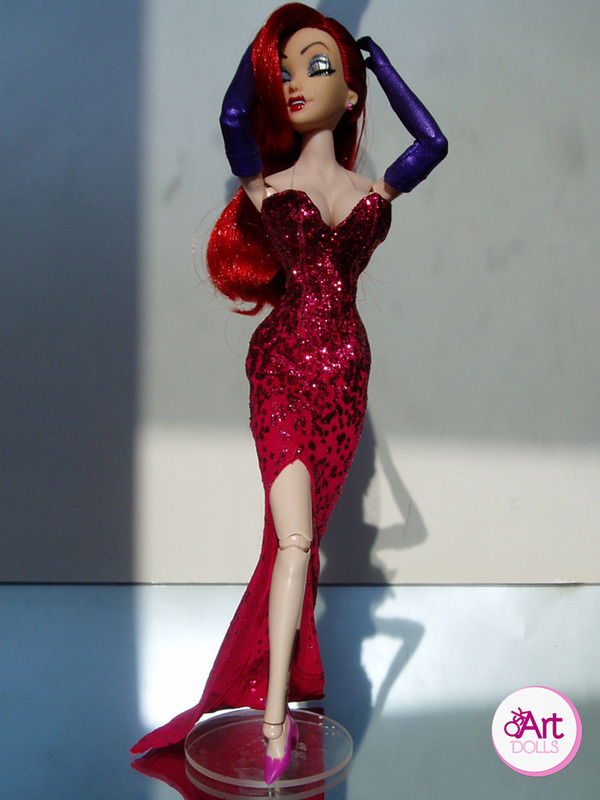 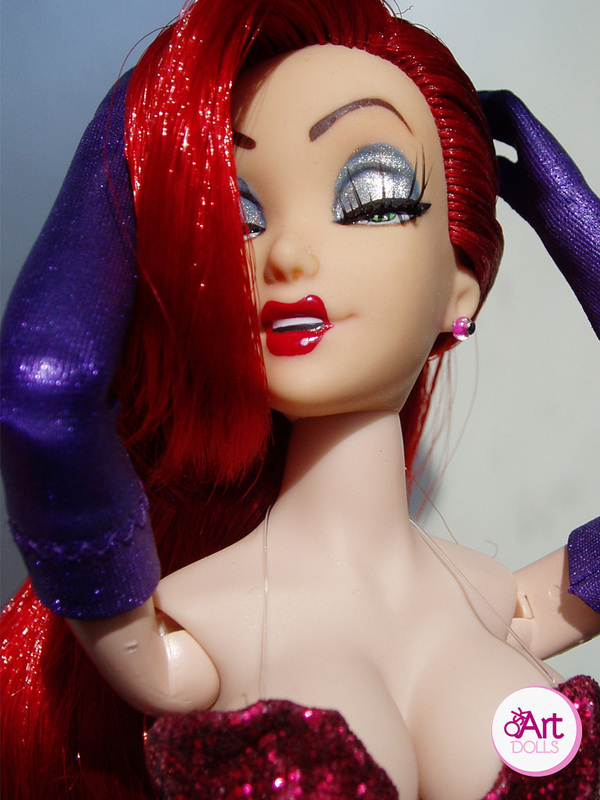 Oskar of OskArt Dolls has created two of the most accurate and gorgeous one-of-a-kind Jessica Rabbit dolls out there. 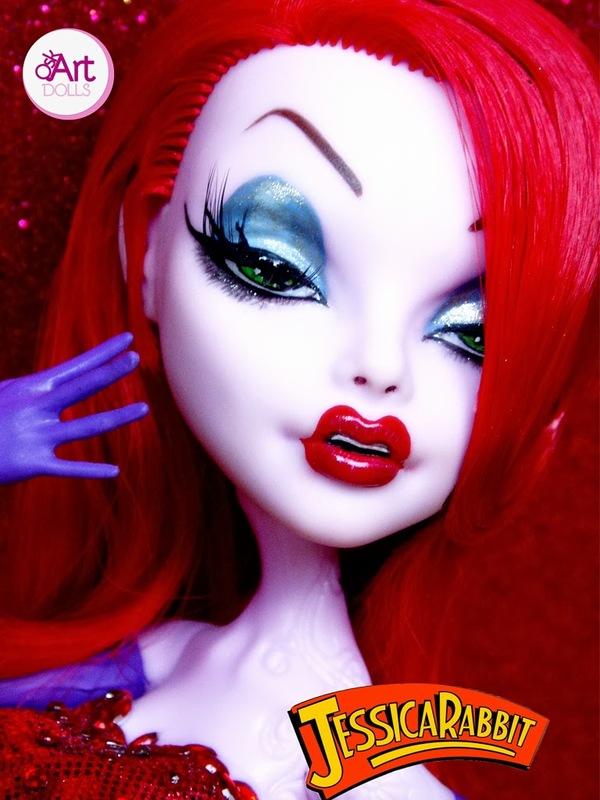 These dolls are complete with custom dresses and face details such as glitter eyeshadow and real lashes. 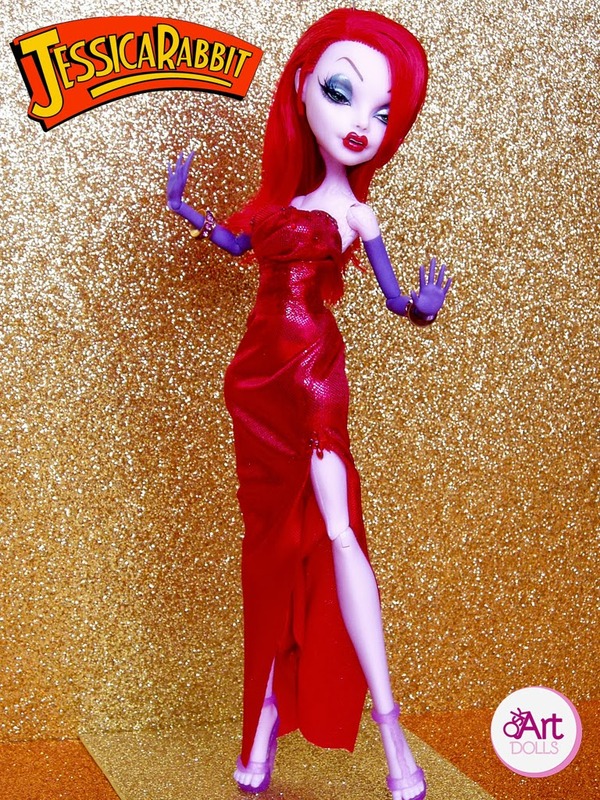 Oskar has also created dolls of Jennifer Lopez, Elvira, Rupaul and Corpse Bride. 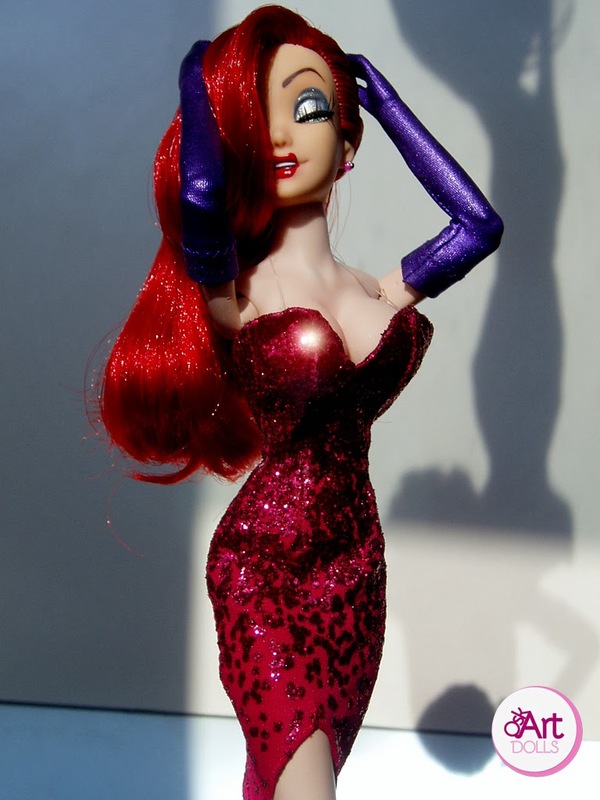 Think you've seen it all when it comes to Jessica Rabbit customs - take a look at these two very different, very amazing, Jessica Rabbit doll customs.